• Get a full understanding of why high self esteem children seem to have an easier time! • See how to help your child build high self esteem right from birth! • Get a really helpful definition of self esteem that also includes how to build self esteem in infants and babies! 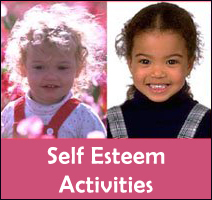 Practical self esteem activities for you and your child! Share your child's self esteem story and help empower others! It's a big deal because children equipped with a good portion of high self esteem just seem to have an easier life, literally! One of the reasons for this is their embracing approach to life. You see, the striking characteristic of high self esteem children is their positive attitude to life and people. 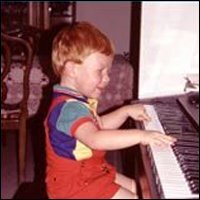 These happy-from-the-inside-kids expect their actions to turn out well, they expect to master a skill if they try with persistence, and they are empowered by a basic trust in people, which means that children with high self esteem generally think people mean well and genuinely like them. Okay, how did they build such a solid positive belief in life and people, you may ask? Well, of course lots of factors are at play but interesting research in attachment parenting has demonstrated that secure attachment right from infancy plays a very important role in building self esteem in children. Or in other less technical words, high self esteem children are used to their parents meeting their needs quickly and consistently. Children with High Self Esteem are Fuelled by a Solid Sense of Trust in the World and in People! This full attention to the child's various signals (the need for attention, love, comfort, respect etc.) has the positive effect that these children with high self esteem are not afraid to rely on people. They are not afraid or reluctant to ask for help. This believing that "I can rely on Mom and Dad" builds a fundamental trust! And trust is a real fundamental building stone of being able to live life with hope, optimism and full engagement. Building trust is like building a real power station! Children with High Self Esteem Reach out for Help Because They Know It's Worth It! High self esteem children intuitively know that they will be sensitively responded to when they need something - so they feel that reaching out for help is always worth it! Again, their fundamental trust in people installs the positive belief: "I can rely on help, when I need it!" This is why one of my own personal goals in positive parenting is fulfilling my child's needs as much as possible. I really try to do my very best to make sure that my son can always ask for help, hugs, comfort, and rely on me to respond sensitively and respectfully ... even when I'm busy. When your child is empowered by the beliefs: "I am safe, loved, respected and cared for!" 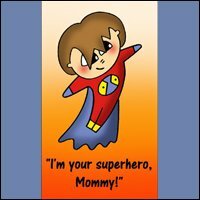 they automatically affect your child's self esteem: "If Mom pays deep attention to me, I must be important!" This positive payoff is actually mindbogglingly simple! Okay, if children with high self esteem are used to being 'seen' and 'heard' and they feel without a doubt that they are unconditionally loved - how does this make life easier on a concrete level? Laying the foundation for high self esteem in you child is the one of greatest gifts you can give your child. Because a solid portion of positive self esteem works like a fat buffer between your child and all the negative stuff from the world. Nasty things, such as bullying, scorn, anger etc., just tend bounce off high self esteem children more easily. Now, why is this, you may ask? Because if your child is powered by the intuitive knowledge: "I'm 'good enough', accepted and respected", the negativity meets no 'resonance', so speak. That was a bit cryptic perhaps, but hang on a bit longer, please! 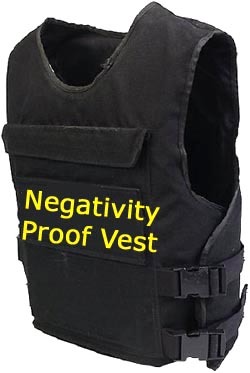 Negativity Bounces off Because They Don't Identify with It. The only time things can really 'hit' us, so to speak, is when negativity meets a belief in ourselves ... when there's a 'hook' for the negativity to hang on. For instance if a high self esteem child is bullied because he or she is wearing glasses, the child will not so readily identify with the scorn and nasty words because those words have nothing to do with who the child feels he or she is. There is no resonance within the child! If there are no 'weak spots', the bullets just bounce off more easily! You see? Somehow positive children with high self esteem seem to be fuelled by an incredible feeling of self worth that makes them withstand strong peer pressure and still be very popular (Read and share powerful children self esteem stories). Before diving more into what self esteem is in children - it's important to understand more about what self esteem is on a general level: What is going on inside when we have positive self esteem and when we don't? What is Self Esteem Really? Now, it's time to try and get an even more firm grasp of that intangible feeling of self esteem. Or in other words, let's make a definition of self esteem that will help us recognize it in ourselves as parents so that we know what we're looking for when trying to help our children build positive self esteem (see positive self esteem activities for parenting and children). As parents we know that life is filled with challenges. When we look around us, I guess we all sometimes wonder why some people or kids just seem to swim more easily through all the trying obstacles while others seem to be fighting constantly to stay afloat. The big difference is that little voice inside. Is it supporting us or putting us down? We all have some areas in our lives when no matter what we do, we are unconsciously booing at ourselves, saying 'you're no good', 'not worth it', 'not loved'. No one can be as mean to us as that little voice. For instance, when I myself engage in some sort of academic endeavor, it's never good enough, no matter what I do. Ever! And what a bugger that belief is! It's actually really, really irritating! Low self esteem is like a mental disease that keeps repeating itself over and over and often doesn't have anything to do with reality. For instance, just like me, my mother has the same conviction concerning her academic performances (hmmm ... have a wild guess where I got my belief from!). More than once she has been more or less depressed after an exam because she was sure she would fail when in fact she got the highest grade possible. This is what I mean when I say that signs of low self esteem often aren't in touch with actual reality. It's all down to our feelings inside. And feelings, my friend, even though they are powerful and should be felt, are often not saying the truth. They are lying! It can thus really be true when we say that we can be our own worst enemy! But we can also be our own best friend and fortunately there are ways to learn to increase self esteem. And being our own best friend, isn't that what we would all want for our children - no doubt at all that that is what I want for my son! Children's Level of Self Esteem Determines the 'Color' of Their Sunglasses! Not literally, of course, but figuratively speaking it is so! Self esteem is like a pair of colorful sunglasses that literally influences the way kids view the world, how they expect things to turn out. With older children and adults all these ideas and convictions often take the form of thoughts and mental chatter. Babies and very small children, however, are blissfully free from their mental chatter box. So, how does self esteem work inside a baby? For young children and babies, self esteem is not so much thoughts or mental beliefs in themselves, it's much more basic and goes much deeper than that. 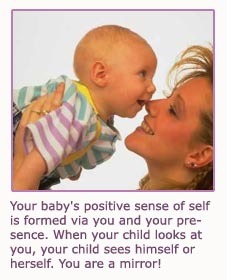 For babies and young children the road to positive self esteem is paved by your full presence. Young children and babies feel themselves and get know themselves through you! Their positive sense of self - their self esteem - is being built when they get to 'merge' and 'feel at one' with you entirely - when they bask in your undivided attention - when they get to feel themselves via your touch and embrace. Babies and young children only understand themselves through you. They mirror their sense of self in you. The energy you direct towards them becomes the way the will feel about themselves. Babies' and young children's' self esteem is being built when you allow your child to fully bond with you! The building stones of high self esteem are laid immediately after leaving the warm womb. When your child brought into the world, he or she is craving to bond with you. Your child has been part of you for 9 months and all of a sudden experiences dramatic separation. Your child was physically part of you, and now he or she isn't anymore more - really, it's no wonder your child wants your closeness. When you pay full attention to your child, fulfil his or her needs for touch, presence and love, even something as basic as thirst and hunger, as quickly and consistently as possible, you actually help your child build self esteem right from birth. As I have already mentioned, when you react to your child's signals by responding sensitively, you provide your child with a strong sense of being 'seen' - being 'heard' - being unconditionally loved. Intimate and close infant bonding is the simple corner stone of attachment parenting and makes up the basic building stones of infant self esteem. Infants don't have an opinion about themselves as such, they live, see and understand themselves through you and your energy. You are your child's mirror! 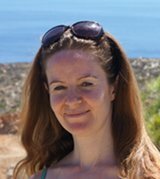 How do you continue building high self esteem children as they grow older? Very easily - you just continue on the same path of connecting and bonding. It's actually a really simple recipe and it can be much more powerful than any positive words. Very young children don't orientate themselves in a world of words and mental concepts. Quite the opposite in fact. Children judge themselves via your behavior and attitude towards them. They may not understand what you say, but the energy you emit when you speak is the way they will feel about themselves: "Am I accepted right now or am I ignored?" For instance, I always put a lot of effort into my verbal explanations of why my son can't do this and that, knowing quite well that a two-year-old doesn't understand half of it. However, what he does understand is that I include him in my decision ... that I bother! 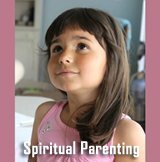 He then gets to feel that he's important enough to deserve full attention in my explanation, that he is seen as an equal that deserves respect (even though he doesn't always get the final word - read this parenting article about learning to distinguish between what your kid wants as distinct from what your kid really needs). And this really works - getting full respect positively overshadows that of not getting his way and not really understanding why he cannot get his way! Wow, isn't that mindboggling? 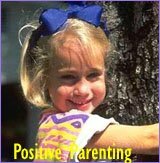 Your positive focus and deep presence is really powerful parenting: This strong supportive approach will really help build high self esteem in your child. Your child simply loves your acceptance and your positive attitude. 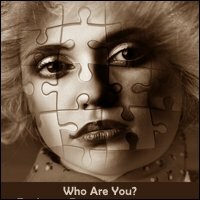 Find Your Enneagram Personality Type and Get Tailor Suited Parenting Advice to Build High Self Esteem Children. Back to the top of this page about High Self Esteem Children - Make a Real Difference with Your Presence and Discover the Power of Unconditional Support!